Great post. Thanks for all you do. My biggest problem with Ergun right now, and is also telling about those who follow him is that he is violent in his warring against others in the Christian faith. He bills himself as a Warrior and according to the trustees at Brewton Parker, is why they hired him. His tats and beard convey that of a warrior. His demeanor conveys a warrior. Maybe wrestler will be his new persona as it seems he wants to bury Ergun Michael Caner who appeared to be a compassionate minister before 9/11. That is too bad, because Ergun Michael Caner who was there for those in the tragedy of the Columbine shooting, is that type of man churches and Brewton needs, not this crazy man who jumps in pools and promotes wrestling. Hi Debbie - I don't think that old Ergun Caner exists. 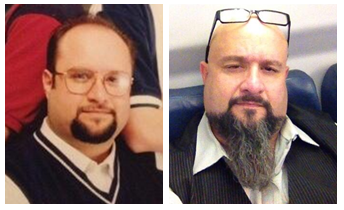 Michael Caner, whoever that was back in the late 90's is no longer. Similarly, does Terry Bollea exist? He has been transformed into the personna of "Hulk Hogan". 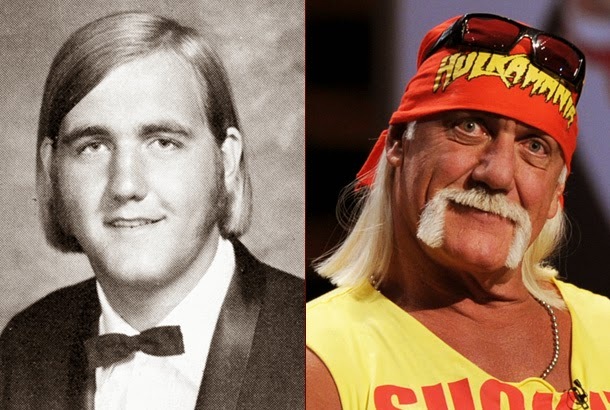 While it is a stage name, I think Terry is now "Hulk Hogan" in every facet of his life. When you hit the big time and gain notoriety with your fake personna and the love and admiration (and $$) it brings, I imagine it does something to transform you into that personna you created. That is why Caner CANNOT "repent" as so many are infatuated with calling him to do. Repent of who he is?? He can't! It is no use to call him to repent, it is a waste of breath. Those who can clean up this mess are Jerry Vines, Paige Patterson, and Jack Graham. 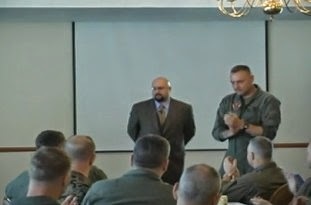 If these men came forward and gave a full account of how this started, acknowledge publicly that Caner pulled a hoax and they regret their part in it and condemn it, things could begin to get fixed. But they won't. It might tarnish their legacy, and might get their stained glass window at SWBTS pulled. But Caner is now who he portrayed for 9 years in the Christian limelight. I'm not sure he even remembers Rev. Michael Caner. He is now the former terrorist Ergun Mehmet Giovanni Caner - and when he speaks he is more careful in how he portrays himself, but he still carefully masks the fact that he came here as a 2 year old. He wants his audiences to still make connections that don't exist. It is still his schtick, and always will be. Tom, I think you're right about creating a public persona which then becomes a burden that has to be lived up to, and that Caner has done exactly that. It never ends well, however: Ernest Hemingway and Hunter Thompson come right to mind, and there are doubtless many, many others who couldn't maintain the character they created and eventually crashed. "That is why Caner CANNOT "repent" as so many are infatuated with calling him to do. Repent of who he is?? He can't! It is no use to call him to repent, it is a waste of breath." Are you a Calvinist? If you're not I don't see how you can believe that someone cannot repent. Even some Calvinists would say that everyone has the ability to repent. Your statement sounds like what is often referred to as "hyper-Calvinism." Ergan's in good company with Todd Bentley, who is a rabid WWE fan, and as we all know, uses the moves he learned in his "healing revivals". Also along the phony vein, I have seen Dibiase on TBN since his conversion. Truly is a small world. Am I a Calvinist?? LOL!! No, just a hyper-common-sense-ist! Your religiosity blinders keep you from seeing things as they are, and you're trying to fit everything into your religious categories. It is clear: Ergun Caner IS the fake personna of "Ergun Mehmet Giovanni Caner", ex-Jihadist trained to do that which was done on 11 September. He IS that person. He can't/won't "repent" of being what in his mind he really is. And oh yeah, one minor detail: to "repent" would cost him lots and lots of money that he has earned. So he CAN'T repent, he WON'T repent, and I don't care. And to call on him to "repent" would be a waste of my time! I just want to make sure that people know who he is, and hopefully prevent another Caner from being created at the next opportune time. I was part of his hoax, I was in the crowd in November 2001 when Vines thrust this phony persona upon his church members, and I don't want that to happen ever again. Only someone who lives in a make-believe world of phony thelogical categories would not be able to see what I'm saying. You say that "Michael Caner (who) COULD have been a credible spokesperson after 9/11 if he had been completely truthful about his real past." People embellish their testimony all the time. A person's "testimony" is really only proof that they have a testimony -nothing else. I think Christians put too much emphasis on personal testimonies. I would rather Caner take the time to actually become an expert on Islam and then he could really have had an impact. "Phony theological categories"? I'm not sure what you mean. Do you deny that Arminianism and Calvinism exist? What's "phony" about them? All I did was ask you a legitimate question, and it was not argumentative in any manner. I took no position whatsoever. Not entirely sure why you reacted the way you did, but in any event it was inappropriate. "Religiosity blinders"? What the heck does that mean? What in my post exhibited "religiosity"? You don't know me. If you did you'd know that I'm not religious. Incidentally I agree with everything you say about Caner, except that he CAN'T repent, and on that I'm not sure whether I agree with you or not. Caner disgusts me, and this post analogizing to professional wrestling was spot on. The absolute only point of my post was to try and ascertain the basis for your assertion that he CAN'T repent. I was not disputing anything you said and I certainly did not intend, nor did I say anything which could even remotely be reasonably construed as support of Caner. I think it is so important what Jesus said on the cross "It is finished"! !No large buildings, no so called sr.pastor, no baptism, no church membership, and no tithing. Just the death, burial and resurrection of our Lord. Think about it and all the other does and don'ts are insignificant. Phony theological categories? Seems to me like it's pretty phony for someone to claim to be a Christian and also claim that God is so small as to not be able to change someone's heart. Won't repent? Yes. But can't repent? No. FBC Jax is the "big guns" compared to Prestonwood and FBC Dallas? Pshaw. You were a member there too long if you buy that nonsense. Anon 11:26 - yes, big guns. Jerry Vines. No nonsense. 11:23 - I didn't say God couldn't change his heart. Who said that? I'm just saying he won't because he can't. What is so hard to understand about that? And Caner thinks himself that whatever he needs to repent of, he has already! So why are some so obsessed with Tweeting that he "repent"? 10:06 - I have very little tolerance for people raising issues of "hyper Calvinism" in an issue regarding perhaps the biggest hoax perpetrated on modern evangelicalism in my lifetime. Do I deny the existence of the two categories you cite? No, they exist. In theory and theology, and they are not at all an issue in the Caner hoax, except for Caner blaming his troubles on "Calvinists". OK, now I'm really confused. Apparently something about my saying the word "hyper Calvinism" caused you to lose all sense of rationality. "I didn't say God couldn't change his heart. Who said that? I'm just saying he won't because he can't. What is so hard to understand about that? And Caner thinks himself that whatever he needs to repent of, he has already! So why are some so obsessed with Tweeting that he "repent"?" Huh? So, God can change his hear but he can't repent? I'm losing you. You have no idea what Caner thinks. How could you presume to know that, or what God may be doing inside him? This is why people are leaving these "churches" everyday in droves. Many of the "pastors (?)" are so money and ego driven that the gospel of Jesus Christ is used rather than preached. Neptune - I did not let your comment through. I choose not to bring the wife into this conversation. That will have to be done elsewhere. I do appreciate your contributions to the blog but I just ask that we not try to drag the other family members into this. i.e., Caner is a lying self-promoter, and Watchdog and his ilk are hopelessly obsessed with hoping to see him suffer so they can get their schadenfreude fix on. Caner’s behaviors are textbook Narcissistic Personality Disorder (NPD), so don’t hold your breath waiting for repentance. NPD is clinically an irremediable condition. Whether he can’t repent or won’t repent is a distinction without a difference. Of course God can do anything, but we are talking about a man’s free will here. Like all NPD’s, Michael must protect the carefully created “false self” (Ergun) at all costs. 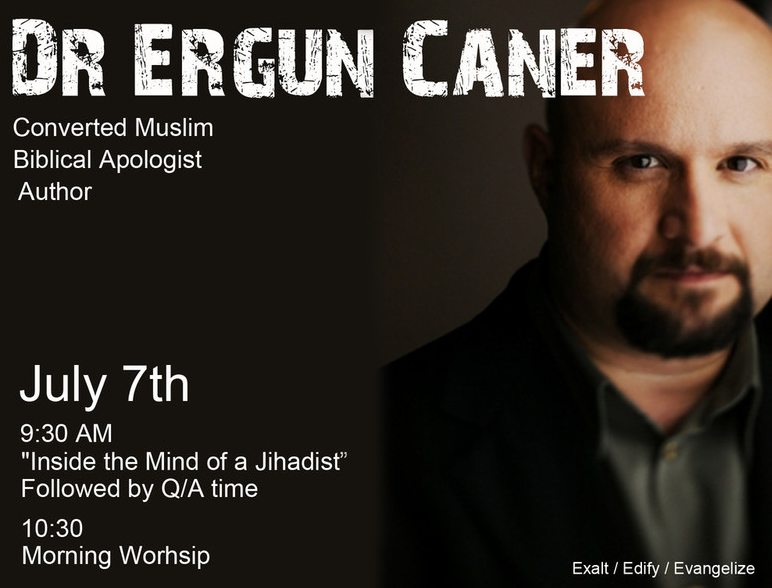 True repentance (admitting it’s all a fraud) would effectively “kill” the public persona of Dr. Ergun Caner (jihadist-turned-Christian, author, teacher, Islam expert, and college provost). Repentance would mean the end of the media empire, money, status, and power, and it also means that Caner (and his supporters) will be humiliated, rejected, and ultimately, he fears he would be unloved. So it’s never going to happen. Google “NPD DSM-IV” to see the clinical research: it’s rare in the overall population, but we are seeing in more and more NPD’s in megachurch pulpits.